The building at 1324 Mechanic Street is listed in the 1947 Camden City Directory as Mechanic Hall. The 1959 Bell Telephone Directory list it as the 13th Ward Republican Club. By 1970 a social club with the unlikely name of The Lost Seagulls of Stockholm Sweden Inc. occupied the premises. 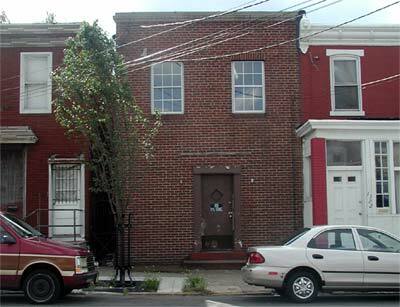 The Sons of Italy and the Order Sons of Ital of America Grand Council of NJ were both located there in 1977. The 1982 the New Jersey Bell Telephone directory has a Yellow Pages listing for this address under Taverns as Bachanal. My father was a member and spent a lot of time there. It later on taken over and made a social club called The Lost Seagulls of something or other. My father took me in the 13th Ward Club for my first official drink when I turned 21. Thanks to Dolores 'Lady D' Hayney for her help in creating this page.